You might need some bigger SD cards if you want to shoot with Canon’s latest camera. At 50.6 megapixels, the EOS 5DS and variant 5DS R have the world’s highest resolution for digital SLR 35mm full-frame sensors, Canon said Friday. The CMOS sensor outstrips rival camera systems such as Nikon’s D810 at 36 megapixels and Samsung’s NX1 at 28 megapixels. 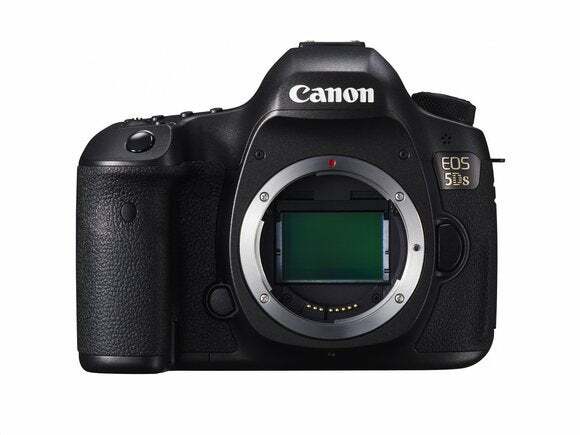 Available in June at $3,700 for the 5DS body and $3,900 for the 5DS R body, Canon’s latest shooters are aimed at advanced amateur and professional photographers. The difference between the two is that the 5DS R removes the effect of the low-pass anti-alias filter, which is designed to counter wavy patterns known as moiré. “The boosted imaging performance is supported by the Dual DIGIC 6 image processors and the mirror-vibration control system, which minimizes camera shake to ensure users get optimal results from the image sensor,” Richard Berger, a spokesman at Canon’s Tokyo headquarters, said via email. The new cameras’ features include a 61-point autofocus array, shooting up to 5 frames per second and a maximum ISO of 12800. A Fine Detail Mode brings out the faintest details of an image without the unwanted effects of over-sharpening. There’s also a time lapse movie function, a first for EOS cameras, with which still images can be automatically combined into a full HD movie clip up to 2 minutes long. Canon also added two models to its popular Rebel line of midrange and high-end digital SLR cameras. The T6s and T6i have a 24.2-megapixel APS-C image sensor, Wi-Fi and NFC capabilities, with the former getting a few enhanced features such as continuous tracking of moving subjects in burst shooting mode. They’re expected to retail for around $850 and $750, body only, from the end of April. The company also announced the EF11-24mm f/4L USM zoom lens, which it describes as having the world’s widest angle of view among interchangeable lens cameras. Designed for EOS cameras, it has four aspherical elements, a minimum focal length of only 11mm and a field of view that’s nearly equivalent to that of the human eye. The “L” in the lens name, however, stands for “luxury,” and the lens is expected to retail around $3,000 when it ships later this month.